A concerning new discovery indicates that tropical forests may be behind a huge spike in greenhouse gas emissions in recent years. Carbon dioxide worldwide has seen a massive spike in the atmosphere of our planet, the largest increase in the last 2,000 years, an alarming finding that scientists think is due to three major tropical forest regions around the globe. 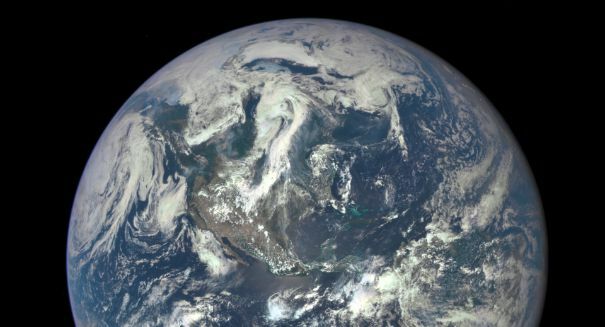 A NASA satellite called the Orbiting Carbon Observatory (OCO-2) that is responsible for mapping out greenhouse gas emissions on Earth made the discovery possible. The findings, which were revealed at a teleconference earlier this week, would be a revolutionary new way to find out the effect of droughts and heat in tropical rain forests when it comes to carbon dioxide emissions and climate change. Many of the regions in question are so incredible remote that it’s impossible to put field stations that can monitor them, and they have thunderstorms that tend to distort measurements on land. The discovery could lead to more accurate predictions of climate change in the future, which could inform what actions we would need to take in order to combat it. “These three tropical regions released 2.5 gigatons more carbon into the atmosphere than they did in 2011,” said Junjie Liu of NASA’s Jet Propulsion Laboratory (JPL) in Pasadena, California, who is lead author of the study. “Our analysis shows this extra carbon dioxide explains the difference in atmospheric carbon dioxide growth rates between 2011 and the peak years of 2015-16. OCO-2 data allowed us to quantify how the net exchange of carbon between land and atmosphere in individual regions is affected during El Nino years.” A gigaton is a billion tons.